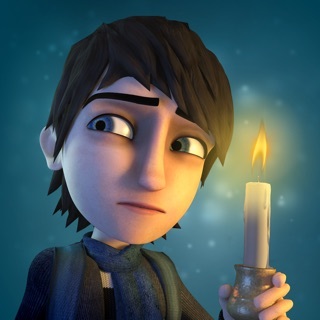 The King’s Ears is an inventive, beautifully illustrated, animation-rich, and highly interactive story app adapted from an award-winning children’s picturebook. It is narrated by Terry Jones of Monty Python fame and illustrated by Philippe Béhà, a lauded children’s book illustrator of over 170 books. 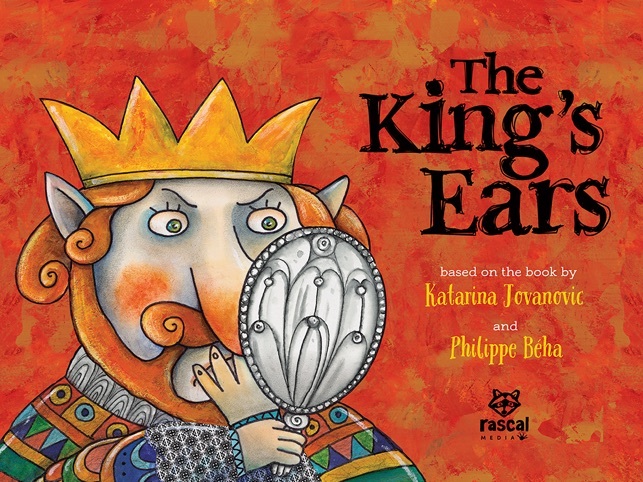 The story, based on the ancient Greek myth of King Midas, has been retold for a modern audience by poet and early childhood specialist Katarina Jovanovic. 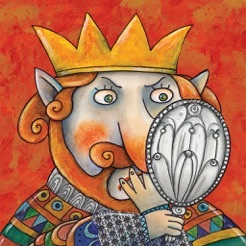 Shining with wisdom and wit, The King’s Ears is about accepting yourself just the way you are. 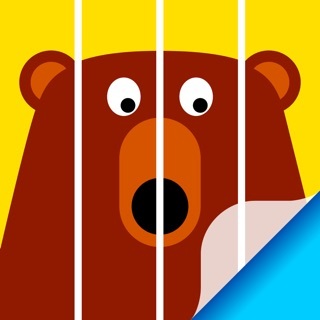 The app’s meaningful and fun interactions, rich sounds, and child-controlled animations stimulate thoughtful discussion. "The King's Ears offers children both an enjoyable experience and a narrative challenge that will stretch their thinking. This app takes exciting risks with new forms of storytelling and invites re-reading, which is certainly an important testimonial to its effectiveness. I'm blown away by the production values." Professor Margaret Mackey, author of "Playing the Text: Literacies across Media"
“An exciting story app with strong narrative verve, and subtle and humorous interactions of art, text, and technology.” Professor Judith Saltman, co-author of "Picturing Canada: A History of Canadian Children’s Illustrated Books and Publishing"
- make a magic reed flute, and play and record tunes with it. Age: A story to be enjoyed by age 5 to adult. Independent reading of text suited to grades 2 and up to play alone or in small groups. Perfect for shared or co-reading. Rascal Media founder and play designer, Cynthia Nugent, is a children's book author/illustrator of award-winning books that children, parents, educators, and librarians love. Her research in picturebook scholarship, story apps, and early literacy for her MA in Children’s Literature guided the design of The King’s Ears.